“…employees who come to the company ‘known by us’ in some way are seen to be better hires and thought to get up to speed more quickly and stay with the company longer,” Martin writes. And this includes you. This is where relentless networking comes in, whether you contact someone at a company so they can get your résumé to a hiring manager, or you contact a hiring manager in your desired department to set up a meeting. The bottom line is that helping other jobseekers will help you. Paying it forward increases your odds of landing a job. 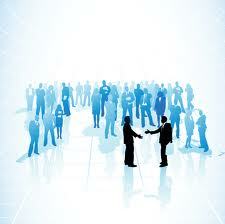 And, there are plenty of great networkers who will help you, as they realize they’ll eventually get help from others. They are patient and determined. This entry was posted in Career Networking, Career Search and tagged career networking, Just Do It, networking events on February 18, 2012 by Things Career Related.